Take a trip to remember! All of our boat tours are family-friendly and fun for all ages! No matter if you choose the Touch of Gold Excursion, Twilight Cruise or the Combo Tour, we are sure you and your family will enjoy the ride. As you tour the SF Bay, Captain Charles provides an engaging and exciting commentary that is easy to understand. All questions are welcome and you will get some of the best views of the Bay Area right from your seat. We are voted the #1 Boat Tour in San Francisco on Trip Advisor by families traveling to the Bay Area from around the world. Hand’s down we are one of the best things to do in San Francisco with kids and on a family vacation. Narrated by your Captain, you’ll learn something new about the historic Bay area, and view the waterfront in a way unlike any other! Take photos, make memories and see it all up close. 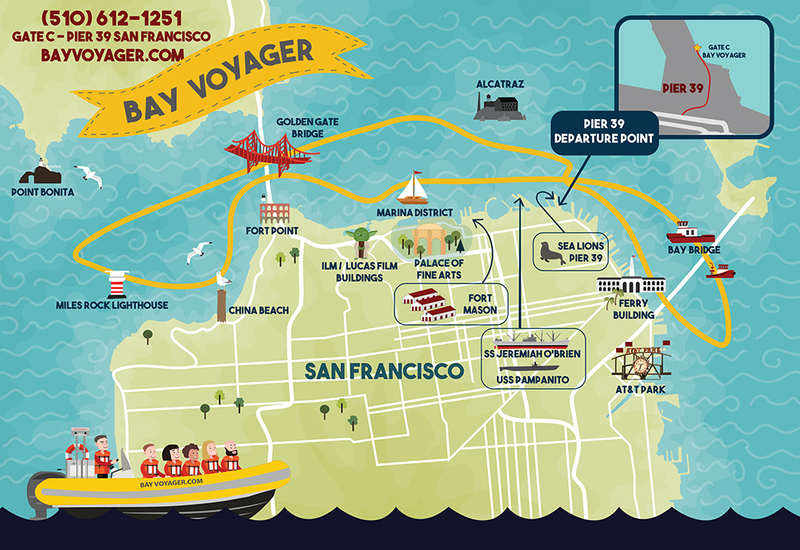 Travel faster, farther and closer to the sights than any tour boat on the bay!